2015 Mercedes C-Class plug-in hybrid - first details | What Car? 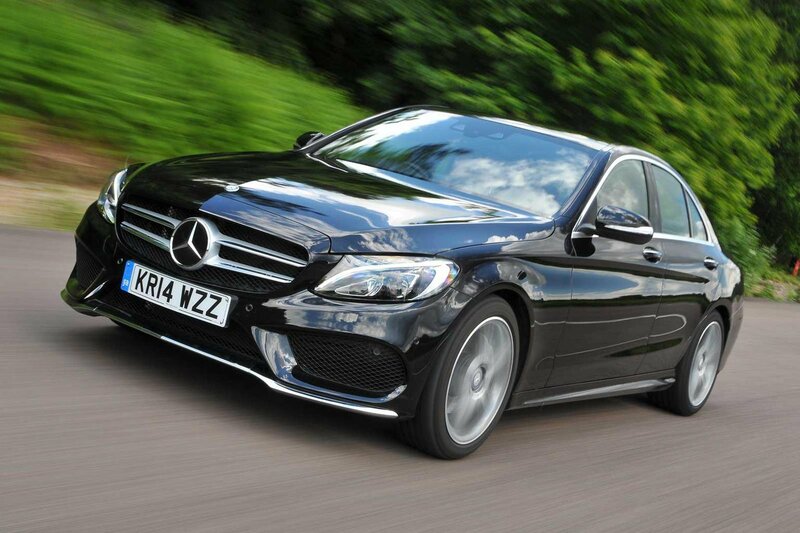 The Mercedes C-Class plug-in hybrid will go on sale in 2015, but only as a saloon. The ultra-efficient model will pair an electric motor with a petrol engine. The battery is likely to give the C-Class a pure-electric range of around 50km, or 31 miles. It is also expected to have CO2 emissions to rival the likes of the Volvo V60 plug-in hybrid, which emits 48g/km and has an official average economy of 155.2mpg. Company sources have also confirmed the plug-in C-Class will be able to travel on electric power at higher speeds than the C300 hybrid, and be capable of around 62mph on electric alone. The engine in the C-Class plug-in hybrid is set to be the same as the one in the petrol C250, which is a 2.0-litre turbocharged unit. It is expected to be priced near the top of the C-Class range, which means it will cost around £50,000.